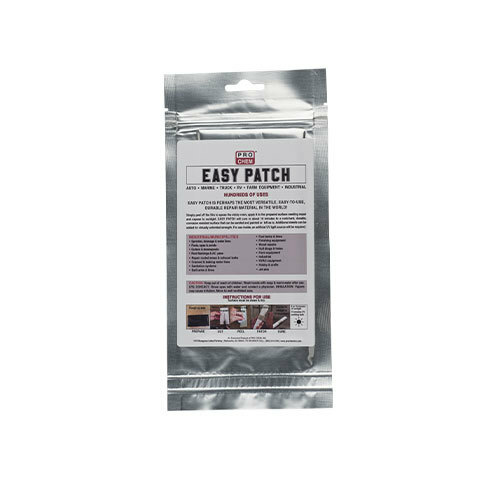 EASY PATCH | Pro Chem, Inc.
EASY PATCH is a versatile, easy-to-use, durable repair material with hundreds of uses. This specially formulated patch is reinforced with fiberglass and is activated by ultraviolet light (both natural sunlight and UV lamp). Simply peel off the film to expose the sticky resin, apply it to the prepared surface needing repair and expose to sunlight. It cures in about 10 minutes to a rock-hard, durable, corrosion-resistant surface that can be drilled, sanded or painted, making this a quick and easy solution for all your repair problems. 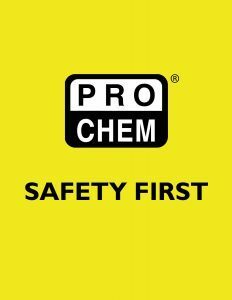 It has been tested by an independent laboratory and is appropriate for use in areas with food contact. Rough up area needing repair. Remove film backing from both sides of patch and press firmly to dry, prepared surface..
Expose to sunlight or UV source to cure. 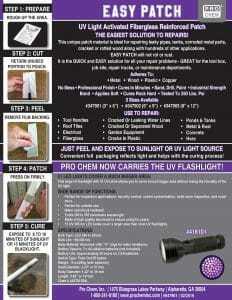 EASY PATCH may not stick to polypropylene. When used inside where sunlight cannot reach the repair area, a UV flashlight (Spec: 350 -400 mns/75 mm/11 w) must be used for proper curing.